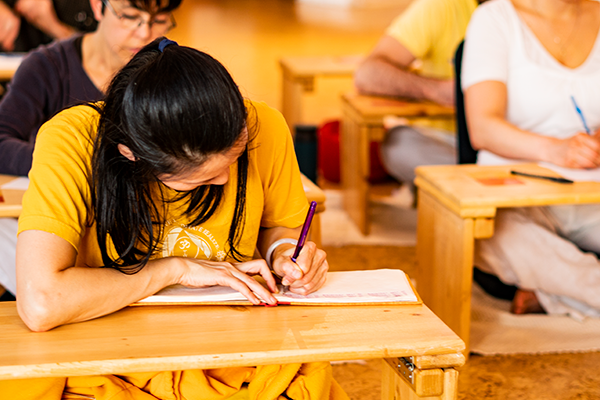 Education never stops after completing our Sivananda’s Teacher Training Course. The TTC sparks the flame on our spiritual path and it is up to us to keep that flame lit. All year round we offer various continued education courses that will bring you deeper into your practice and help you further expand on your teaching skills. These courses continue to go deeper into the different topics addressed during the Teacher’s Training Course and also broaden your teaching abilities. This will help you further adapt your classes to different students and gain confidence in your teaching. Our mission to spread peace starts with ourselves and as we continue to learn we are able to continue to inspire and spread Swami Vishnudevananda’s teachings. 07junAll Day09Introduction to Thai Yoga Massage Short Description: Learn about how Thai Yoga Massage, a unique healing therapy with Indian origins in Ayurvedic medicine and Yoga, can relieve muscular tension, improve circulation, boost the immune system and balance the body energetically. Thai Yoga Massage is a unique healing therapy with Indian origins in Ayurvedic medicine and Yoga. It combines yoga postures and stretching with various massage techniques, working along energy lines and pressure points. Together these actions result in a comprehensive treatment that relieves muscular tension, improves circulation, boosts the immune system and balances the body energetically. In this Intro you will learn the foundations of Thai Yoga Massage and a 30 minutes massage flow to work on shoulders, legs and back. What to bring: a queen size flat sheet, yoga mat, comfortable clothing, notebook and pen. For All Courses: Please plan to arrive the day before the course begins and depart the day after it ends. In this course you will learn how to perform a 90-minute full-body massage. A manual with pictures will be given. Mirabai was raised in a Sivananda Yoga family and has been committed to yoga all of her life. She has been teaching yoga for 18 years and sharing her expertise in teachers training programs world wide. She began her Thai Yoga Massage practice in 2007 and became a close disciple of Master Kam Thye Chow. Students appreciate her compassionate teaching style that promotes an enriching atmosphere to learn and share with one another. 04octAll Day06Introduction to Thai Yoga Massage Short Description: An introduction to a unique healing therapy with Indian origins in Ayurvedic medicine and Yoga, that combines yoga postures and stretching with various massage techniques to relieve muscular tension, improve circulation,and balances the body energetically. Mirabai was raised in a Sivananda Yoga family and has been committed to yoga all of her life. She has been teaching yoga for 18 years and sharing her expertise in teacher’s trainings world wide. She began her Thai Yoga Massage practice in 2007 and became a close disciple of Master Kam Thye Chow. Students appreciate her compassionate teaching style that promotes an enriching atmosphere to learn and share with one another. 01novAll Day03Assisted Yoga Using Thai Massage Short Description: Bring a more therapeutic touch to your yoga classes through learning Thai Yoga Massage techniques to safely adjust postures. 08novAll Day10Sanskrit – Speaking Your Yoga Short Description: Sanskrit is an eternal, vibrant ancient language and learning it can be a fun, fulfilling experience that adds richness and authenticity to a yogic lifestyle and to teaching yoga classes. Open to yoga teachers of all traditions. Sanskrit is Yoga in linguistic form. Incorporating Sanskrit into one’s Yoga practice as well as teaching can enrich and lend authenticity to one’s experience of Yoga. Sanskrit is not an external language but rather a language of internal vibrations and is described as the Language of Gods. Sanskrit chanting and Mantras can help create meditative state of mind and elevate one’s consciousness to higher levels. In this series of workshops, we study the relationship between Sanskrit and Yoga, learn the sacred vibrations of Sanskrit and study their internal correspondences as well as explore their energetic aspects. We will also learn the authentic pronunciation of the Sanskrit names of around 50 popular Yoga postures. Ram Vakkalanka is an internationally known Nada Yogi, Sanskrit expert, Yoga philosopher and Meditation Instructor. Based in Toronto, he travels around the world sharing his deep knowledge of Sanskrit, Nada Yoga and Yoga philosophy. So far, 19 CDs, one DVD and an on-line video course of his works have been released. For more about him, please visit www.ramvakkalanka.com or connect with him on Facebook.